White-plumaged birds are beautiful but maintaining the purity of their color is not always easy. Breedmax White is a superb product that comes to solve the concerns of breeders or individuals in this regard. Taking care of the beautiful white plumage of your birds will be much easier with the help of this nutritional supplement. With its contribution you will be able to take care and highlight the natural beauty of its snowy plumage. Breedmax White: What is it and for which birds is specifically indicated? Breedmax White is a nutritional supplement for birds with white plumage. It provides nutrients needed for them: a set of vitamins, minerals and proteins needed for their best health, wellbeing and physical appearance. It is specifically suitable for any bird that has a white plumage because, among its main benefits, is to keep it properly, allowing it to not lose color. You can take advantage of both tropical birds as well as singing birds and European ornaments, in addition to exotic birds, pigeons and canaries. Breedmax White is a complete supplement for poultry. It contributes a great variety of nutrients in the doses indicated for your animals. This implies that it is a real help with a great power to improve different aspects of health, well-being and aesthetics of these. -It consists of a set of 12 vitamins needed for birds. -Contains 18 amino acids in the appropriate proportion for improving the health of birds, including the contribution of Leucine, arginine, choline, lysine, Valine and threonine. -Provides 7 trace elements in variable proportion among those found iron, copper, iodine, manganese and Zinc. -Breedmax White contains several minerals that highlight its richness of calcium and phosphorus. –Provides fiber and fat in the right proportion to care for the health and well-being of your birds. 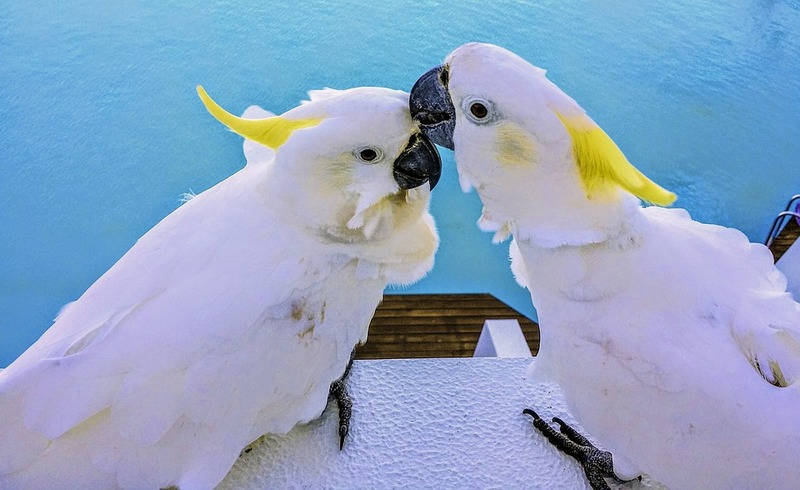 One of the peculiarities of Breedmax White that differentiates him from other bird supplements is his capacity for the care and maintenance of the white plumage. Its power contributes to the white feathered birds being able to maintain the snowy color. Are you worried that your birds will suffer doré effect? Breedmax White will give you the tranquility you need in this direction. Even in breeding birds. You can rely on its efficacy for color maintenance as you wish. In fact, it is specifically recommended for birds of white plumage for their ability to keep it in color and good condition. Breedmax White is designed so that in addition to providing the formula of nutrients needed for the best condition of your birds, it is very simple obtain. You can mix it with your pasta or food, as the case may be, in the dosage indicated on the container for each type of bird and age of the same. In this way you will not forget aportárselo and be perfectly consumed by each animal in a satisfactory way for him. Breedmax White has a long lifespan. It is marketed in practical airtight metal envelopes, which allows you to use the precise quantity and the proper maintenance of the remaining product in perfect conservation conditions. So it is so practical if you only have a bird that you want to bring this supplement as if you are a breeder. –Provides the necessary nutrients for your proper health status. –Improves the life of the young and its optimal capacity of development. –Improves the growth of breeding birds in a natural and healthy way. –Contributes to the good general state of the birds at various levels. –It takes care of the color maintenance of the birds of white plumage over time. If you’re worried about taking care of your white-plumaged birds, don’t give it any more laps. Breedmax White is the help they need. You can buy Breedmax White at complementosparaaves.com at the best price. We’re waiting for you!